JACKIE O has opened up about the female star that "made her life hell". On Sydney's KIIS FM breakfast show this morning, Jackie O was delivering a story about former Glee actor Lea Michele in her "O News" segment. Off the back of the news story, Kyle said: "Who cares about that kid - can't stand that girl." Jackie O added that she is "no big fan either" and said that Michele's reaction to one of her questions in an interview on her radio show years ago was "totally unwarranted". Lea Michele had a run in with Jackie O. "They got screwed over those kids," Jackie O said about the Glee stars. "They signed up for that first season and they [the producers] made sure they signed them on for like six seasons after, even if it was the biggest show, they wouldn't get a pay rise. "That was a big story so I asked about it," Jackie O said. But Michele did not appreciate being asked about the rumour. "Oh god, the frickin' backlash I got," Jackie O recalled. "She made my life hell." "She pretty much banned her agent, who looked after heaps of celebrities, we got black-listed from everyone because she was so offended at the question that was in the news already." Lea Michele's not the only star who's left a bad taste in Kyle and Jackie O's mouths. Kyle has previously spoken to news.com.au about his bizarre 2008 interview with former presenter of The Great Outdoors, Ernie Dingo. 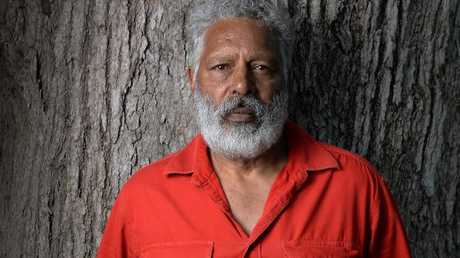 "I've always loved Ernie Dingo," Sandilands said. "He was on the phone and he was off me big time. Just hated me ... He was so dismissive and rude and arrogant." In the fiery interview, Dingo was upset that a promo had aired earlier on the breakfast show that mentioned his name and the line "a dingo took my baby". "That's character assassination as far as I'm concerned towards me," Dingo told Sandilands in the interview, even though the radio announcer had nothing to do with the promo. "Your game is to sensationalise things and you're just basically a commercial w**ker," Dingo said on-air. Speaking about the incident to news.com.au, Sandilands said, "I was giving him a million opportunities to get it [the interview] back on track and then I just told him he was a f**kwit and told him to f**k off."